Hacienda in the Desert! 30 plan 2br + den (with sofa bed) with side yard and a private pool & spa! Updated kitchen appliances and new beds compliment the Spanish details in this vacation residence. The side yard faces West to provide plenty of sun and light while the back patio faces North and has 2 great shade trees and a view of the golf course. 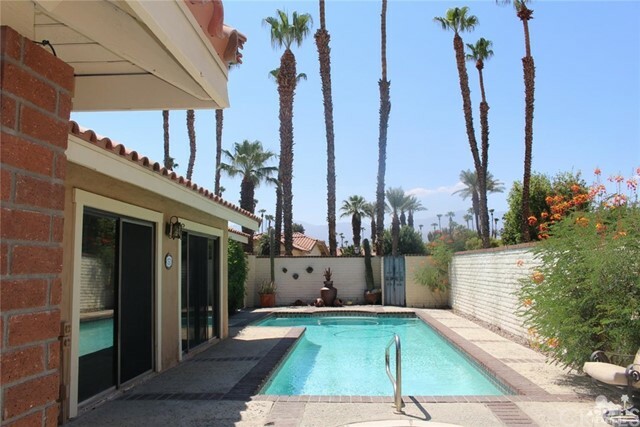 Make this unique property your Desert Retreat for the Season!